With the recent release of the cinematic version of Ender’s Game by Orson Scott Card, my ten-year old son and I decided to read the classic science fiction book. He read it first, and told me he liked it, but was confused by parts. I just finished reading it now and cannot wait to talk with him about it. (I wrote a short review at GoodReads, if you are interested in reading it.) Frankly, I found the book emotionally draining, and the reason is that I’m a mom of a ten YO boy. The things that are done to poor Andrew “Ender” Wiggin in the name of the human race are horrific, and it made the book difficult for me to read and enjoy. Since the book is geared towards teens, I wondered if I would have enjoyed the book more when I was younger – before I was a mom. I’ve noticed as I’ve gotten older my reading interests have changed, which it should. I grow and mature, my interests change, my views on the world transform over time. I’ve often wondered if I would even enjoy books I read just a few years ago. One such book/series is Twilight by Stephenie Meyer. When I read that book five years ago, I couldn’t put it down. Reading the series opened up a whole new world for me – book blogging, reading romance and urban fantasy, etc. And now that I’ve read hundreds of books with similar qualities as the Twilight Series, I find myself thinking that the series isn’t the crack I once believed it to be. I imagine if I picked up the series today, I’d hate Bella and not be so enamored with Edward. Why? Because I have read so many more books with more mature and genuine characters and I no long tolerate whiney or self-loathing behavior from my characters. The bottom line is that we change and so do our tastes in literature. That’s okay. It doesn’t mean I have to shun Twilight. Reading the series made a huge difference in my life. And I don’t have to love Ender’s Game, even if my son does (or I may have when I was younger). Reading the book gives me an opportunity to share something with my child, and that is priceless. I’m certain that there are books I read now that in five years I may wonder what was I thinking to give it such a high rating. Yet I’ll still read… it’s one of the joys of life! So what about you? Have your reading interests changed over the years? Is there a book you loved before that current you wouldn’t care for? Have you read a book recently that you may have loved more at another time in your life? Thank you for stopping by to chat! Happy Reading! YES! I have discovered the same thing. Getting older wasn’t as big change for me as it was when I had my munchkin. I can no longer read books and tolerate violence like I used to. 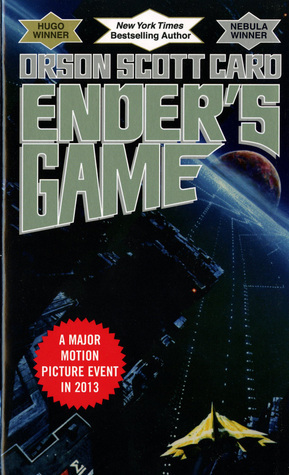 I read Ender’s Game before I had my munchkin and I really liked it even though I was horrified by Ender’s treatment (the lies, the abuse, etc), but I could stomach it. I do not think I could read it now. I am much more bothered by Graff’s decisions when it came to Ender. Did I go see the movie, yes. Did I enjoy it, yes. But the movie eased what my mind would do via the book. Books are far more cerebral than movies and my imagination is just too overactive.